It is the network of these individuals, the team, that sets Allstar apart as a leader in a variety of product categories including Housewares, Hardware, Beauty, Pet and many more. Boilen and his group prove time and again that the DRTV success of Snuggie, the product most often associated with Allstar, was not a fluke, but the result of combining a strong leadership team with a savvy support staff. After speaking with Scott, you can’t help but share his enthusiasm. Boilen explains, “We exist to find, support and bring solutions to market. We vibe off your genius. Put simply, your success is the fuel to our fire.” Allstar’s leader is passionate about products and constantly seeks to learn, listen and take advice from product inventors directly. 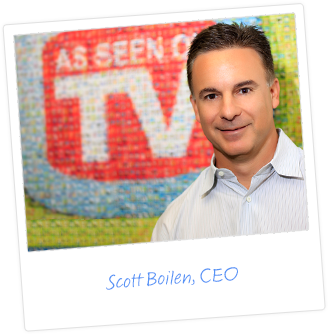 Scott will be the first to admit that, “the inventors often know what works and what doesn’t. The products are their babies and it is our job to respect and support those positions.” Together with guidance from Allstar’s stellar leadership team your dreams can become reality.